In this blog post we implement a Spring Boot application that sends push messages and an Ionic 4 / Cordova app that receives and displays these messages. 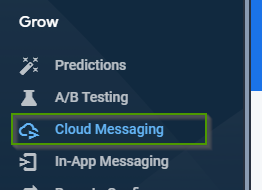 As the message service, we're going to use Firebase Cloud Messaging (FCM) the successor of Google Cloud Messaging (GCM). 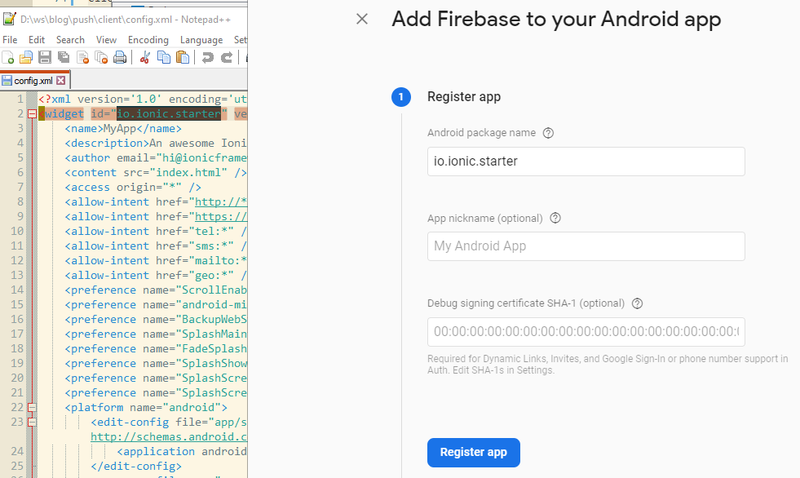 Therefore, if you want to follow this blog post and test the application, you need to create an account with Firebase (it's free) if you are not already have one. Go to https://firebase.google.com/ to sign up. The server is a Spring Boot application created with the https://start.spring.io/ website. Web is the sole dependency we need for this application. Next we add the Firebase Client SDK for Java to our project. This library allows us to easily send push messages to FCM from Java. 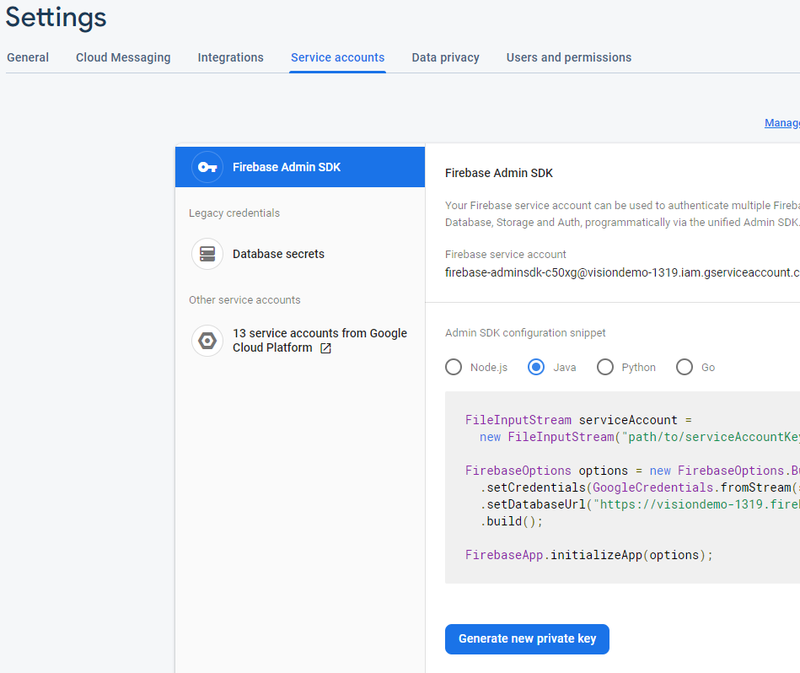 To send messages to FCM an application needs a service account from Firebase. 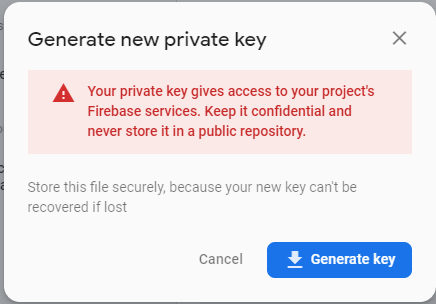 This is a JSON file that contains all the necessary information (client id, private key, ...) a client needs to connect to Firebase. Because I don't want to hardcode the location of this file into the code, I create a simple configuration class that allows me to externalize this information into the file src/main/resources/application.properties. Before we continue with coding we need to set up a Firebase project. Login to your Firebase Console and create a new project or use an existing one. On the project page open the settings page by clicking on the cog wheel icon and click on Project settings and then open the Service Accounts tab. On the Service Accounts tab click on "Generate New Private Key" and download the file with "Generate Key". Keep this file safe and don't commit it into a public repository. Everybody that has access to this file also has full access to this Firebase project. Next we create a service bean and inject FcmSettings. In the constructor the application reads the service account file and initializes the Firebase library. The client is an Ionic application we create with the Ionic CLI. We don't need any additional pages or providers. We're adding all the necessary code to the HomePage that the start command created. To test the application we have to run it on a real device or in the emulator. I tested the app on an Android device, but FCM is not limited to Android it supports iOS devices as well. First we need to create and download the Firebase configuration file for a client. The Cordova plugin, we install later, needs this configuration file for connecting to FCM. Each platform has their own configuration file (Android: google-services.json, iOS: GoogleService-Info.plist). Go to the Firebase Console and open the project. A click on the Overview menu displays the following buttons. 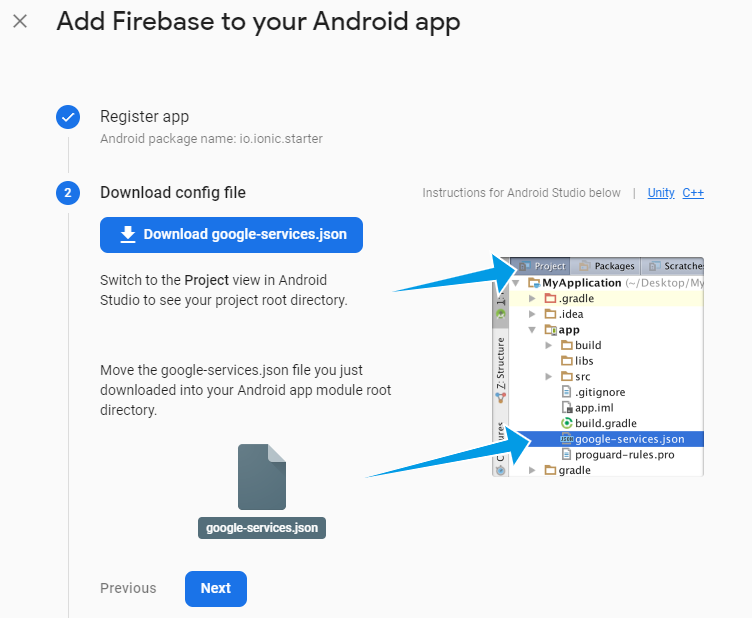 Click on "Add Firebase to your Android app"
In this dialog you have to enter the package name of your client project. You find the package name of your app in the file config.xml in the root folder of the app. The package name is the widget id, copy and paste this string into the Android package name text field. Click on the Register App button and then on the Download google-services.json button. The browser downloads the file to your computer. Copy the file to the root folder of your Ionic / Cordova project. If you need to support iOS as well, add an iOS app to the Firebase project, download the GoogleService-Info.plist file and copy it to the root folder as well. Next we need to install a Cordova plugin that connects to FCM. For this example I use the cordova-plugin-firebase. This plugin does not only support FCM, it also supports Firebase Analytics and Remote Config. FCM supports two ways of sending messages to clients. One way is message sending based on the publish / subscribe model. Clients subscribe to one or more topics and the sender publishes messages to these topics. Each subscriber of a topic receives messages a publisher sends to this topic. FCM automatically creates topics when a client subscribes to it, keeps track of all the subscribed clients and routes incoming messages from a sender to the right device. The other option is sending messages directly to one specific device. For this scenario the sender needs to know the FCM registration token of the receiver. The Cordova plugin provides functionality to access this token. We're going to create an example for each of these options. Sending messages to a topic is very easy because neither the server nor the client needs to know the registration token. As an example we create a Spring service with a scheduled method that runs every 30 seconds, fetches a joke from the Chuck Norris Database and sends it to the topic "chuck". Spring injects the FcmClient bean, we created earlier, into this class. The scheduled method sendChuckQuotes first fetches a joke then calls the private method sendPushMessage that composes and sends the message to FCM with the sendJoke method from the FcmClient. The Firebase library allows us to set different configuration options for Android (AndroidConfig) and iOS (ApnsConfig). For Android, we set the time to live to 2 minutes. When a device is offline for longer than this specified time period it is not going to receive the message. FCM supports a maximum time to live of 4 weeks, which is the default value when the application does not specify anything. When you configure the Notification in the Message instance, the library uses it as default for Android and iOS. Alternatively, you may specify the notification options in the AndroidConfig and ApnsConfig object and use different values for the two platforms. Note: The client does not display a notification dialog when the app is in the foreground. The data object contains the payload of the message and is the object the receiver has access to. The receiver does not receive or has access to the message option and notification payload objects. The data object does not have to be a Map it may be any POJO that can be serialized into JSON. Next the application sends the message with the sendAsync method to FCM. This is an asynchronous method. In this example I block the method with a call to get and wait for the response. For receiving topic messages the client has to subscribe to the topic and add a listener to the notification open event. In this example we do that in the constructor of the HomePage. The application needs to wait until the platform ready event is emitted which indicates that all Cordova plugins are loaded. The method onNotificationOpen expects a success handler, that is called each time a push message arrives and an error handler that is called in case of a failure. The success handler calls the handleNotification method each time a message arrives. The handleNotification method keeps the last 5 messages stored in the instance variable items. The argument that the handleNotification functions receives corresponds to the data object from the server. In our example this is an object with the two keys id and text. The template displays the items array with a simple ngFor loop. In the method onChange the code calls subscribe resp. unsubscribe from the Firebase Cordova plugin. These two functions expects as parameter the name of the topic. The topic name has to match the name of the topic in the Java code. Note: The notification flow is different when the app is in foreground or background. Foreground: The application receives the message directly in the code without displaying a notification dialog and emits the notification open event which then calls the handleNotification method. Background: Device presents a notification dialog to the user. The user taps on the notification, the app opens and emits the notification open event and then calls the handleNotification method. iOS: The permission system works differently on iOS than on Android. On Android the app only needs the internet permission to receive push messages. On iOS the app needs the push permission and the user has to grant permission to the app. You can implement that in your code with a call to the window['FirebasePlugin'].grantPermission method. This method only works on iOS so make sure that you check the platform first. A call to this method presents a dialog to the user where he can allow push messages. When a sender wants to send messages to a specific device, he needs to know the FCM registration token of the client. The client receives that token as soon as he is registered to FCM. Then he needs to send that token to the server. For that reason we create a RestController that registers a handler for the URL /register and another handler for /unregister. In the client app we're adding a checkbox where the user can enable and disable direct messages. When the user enables it, the client sends the token to the /register endpoint. The PersonalMessageSender bean manages the registered tokens in a Set and sends a random message every 30 seconds to all registered clients. The sendPushMessages method loops over all registered client tokens, create a data object with an id and a random text and calls the sendPersonalMessage from the FcmClient. The sendPersonalMessage method works very similar like the sendJoke method, that sends messages to a topic. Instead of specifying a topic this method configures the receiver with setToken(clientToken). This way only the client with this token receives this particular message. To get access to the FCM registration token the client has to call getToken. The code also registers a token refresh event listener, because Firebase may send a new token while the application is running. Similar to the onNotificationOpen code this code runs in the platform ready event handler to make sure that Cordova is properly initialized, before calling any plugin methods. In the template we add a checkbox where the user can enable and disable direct messages. In the click handler of the checkbox (onPmChange) the program either sends a request to the /register or /unregister endpoint with the FCM registration token in the body. Messages that are sent directly to the client are handled the same way as topic messages. The Cordova plugin emits the notification open event which then calls the handleNotification method we registered as the handler. handleNotification is able to handle both message types, topic and direct messages, because the payload of both message types is exactly the same, an object with id and text as the keys. You find the complete source code for the Ionic app and the Spring Boot application on GitHub.